As a teacher, I usually find out what I’m talking about as I open my mouth and the words fall out. But this is a special occasion and I wanted to address some specific things in my talk. I am a writer and so I’ve written a speech. You’ll forgive me if it sounds like I’m reading it from time to time, because I am. This speech today was supposed to be about walking across the Great Plains. In part, it will be. That walk of 1,450 miles made me who I am and there’s no escaping its influence on just about everything I do, including writing this speech. But it’s rare that I get to address both sides of the bookshelf. I have given many book talks, tens upon tens of them. The people in those audiences are always readers—my customers, the people I hope will buy enough of my books to, if not make me famous, then quietly well to do. Because of the uncommonness of a writer being able to speak to readers and writers, I will wander around in my topic, as I might wander about the plains. Many writers will agree that writing is a social business. First, let me say that all writers do research. Some of it is in libraries and archives, which are indeed lonely places. But most of it happens in the great laboratory of life. In all aspects, the research relates to people, what they’ve done, and what they hope to do. It is certainly true that in the research aspects of our work, we get to talk to all kinds of people. On my way to Montana from Kansas City, I met cattle ranchers and truck drivers and farmers. I made a lot of time at the fence with the poor denizens of towns with such mellifluous names as Beatrice, Ogallalla, and Natrona, and some with names more prosaic, such as Minden, Friend, and North Platte. People of all stripes offered me rides down the road, nights on couches or in front yards, and one time the Cozad, Nebraska, police offered me a night in a jail cell—which I opted not to take and decided to stay in the municipal park campground instead. Thanks very much for the hospitality. It is the writer’s lot to take up with people he or she would not normally come into contact with. I never imagined that I would ride a horse down the Oregon Trail on the High Plains of Wyoming. First, horses scare me, and, second, the man who wanted to take me down that trail was a bit off his rocker. He was a pugnacious type, a short and strong horse breeder and trainer who seemed to spend too much time alone. But, sure enough, there I was riding a mare chosen from the harem for its calm demeanor and openness to strangers. We plodded over the divide between the North Platte and Sweetwater River valleys in peace. I never would have met this little mountain of a man over in South Hyde Park, where I lived at the time I took my trip. Though the neighborhood was full of characters, I never in Kansas City rode in a mufferless car with a kid who had purple hair and a dream to become a big-city rockstar. I found myself in the pickup trucks of entrepreneurial Americans eking out livings from the last vestiges of life in their little towns—people who couldn’t see their towns were on their last legs, and people who would have, chins forward, greeted such news as fighting words. A writer’s research sometimes takes them into dangerous situations. I was sexually assaulted by a woman in small-town Wyoming whose husband was in the next room and who I am sure had a fat shotgun. A man outside of Jeffery City, Wyoming, a lonely burg whose sad story was typical of boom-and-bust towns everywhere, gave me a ride through the endless sagebrush on an errand for water. I had no idea that when I climbed into his car that he was celebrating the end of a stint in alcohol rehab with a case of beer and a bottle of whiskey. He was nice enough. He really was a nice guy. But he couldn’t get me to that water and out of his car fast enough. My research got me sniffed up by bears two nights running and brought me face-to-face with a moose in Yellowstone. Certainly, writers devote many hours to thinking, alone and contemplating what they have learned. Stretches of ground like those sixty miles between Manhattan and Marysville, Kansas, or the same distance between Lander and Dubois, Wyoming, give me time to think. It’s just an hour in a car, but afoot, it’s two to three days of solid walking. I would say the long stretches of the Missouri River gave time for contemplation. In one instance, I didn’t see another person for ten days. I was as crazy as the Wyoming horse breeder. The point here is that writing has a social side. You have to know at least one little part of the world well to write a story. The more you know, the more interesting you can make your material to the reader. The research brings a writer in contact with the unexpected, whether a moose in Yellowstone or some strange fact about the history of, say, the brewing industry in Kansas City before Prohibition. Even more interesting, the history of brewing and distilling during Prohibition. After all, Kansas City had to get all that beer and liquor from some-where. People tell these stories. And even the kinds of evidence we uncover in lonely libraries is generated by people. The social side of writing is everywhere in our business. Writing is also a solitary endeavor. After the writer has gathered all the facts, he or she has to order those facts and snippets into a story. In my case, I had a stack of journals, pamphlets, and brochures. In the journals, I recorded the road and miles I covered that day. I recounted the conversations I had as accurately as I could. Information about towns, regions, and states abounded. But these things do not make a story. The writer writes a story after contemplating the vast amounts of material they have gathered in their research. These notes, storyboards—even cartoon bubbles written on long pieces of butcher paper—can take a writer in many millions of directions. But only one will do, the writer has to choose the right one that will lead to a successful story and, hopefully, appeal to readers like you. The writer much first choose the facts or characters or scenes that the story move forward. Writers don’t make up stories. People have often asked me, well, how did you think that all up? It wasn’t me, though I was an agent in the process. In fact, the writer is in constant service to the story. When I wrote my books, I had to leave out a host of interesting characters. They were great people who influenced me and of whom I think about now over twenty years since I walked to Montana and canoed back on the Missouri River. But I had to sacrifice them to move the narrative forward, to form a story arc, and bring the tale to a satisfying, if not always happy conclusion. I would have done those people I love so much a disservice by including too many in the story. After all, we writers have to think about our readers. Too many characters degrade those personalities into faceless and nameless entities in a story that becomes more a laundry list of what I did today, rather than a tale of redemption accessible to many. Then, there is the really lonely phase of writing that no one can cure or dig the writer out of. That is the loneliness of writing itself. For many of us, it’s good fun to sit down at a desk illuminated by an incandescent bulb for many hours a day and put words together. Many writers spend so much time alone they can begin to lose their sense of boundaries. I ran into Doris in Williston, North Dakota, who spoke too loudly, laughed inappropriately, and was clumsy in her contact with me, slapping me on the arm and hand at a restaurant table and guffawing in a way that brought us the attention of everyone in the place. I would have been a little embarrassed had I not recognized the ailment. The Wyoming horse trainer had it. Most writers have it. Many of the people I met walking across the Great Plains had it. It turned out she had just been released from six months in the mental hospital after having spent five years never coming out of her house. Writers are often alone too long. We no longer quite understand where we end and the rest of the social world begins. I know that I had to learn, after even a short couple of days by myself, to modulate the volume of my voice and understand that not everyone is so glad to meet me. Often, we writers are alone so much that even the mundane daily tasks of, say, in my case, teaching class, becomes a foreign and unfamiliar action—and I have been in the classroom for over fifteen years now. And I stress to people who take my memoir-writing workshops at the Writers Place every fall: No one—not our significant others, friends, or family—can relieve the kind of loneliness that the writer has to experience to produce good material. No amount of outside readers can pound a story into shape. No one can write the story of a bear sniffing my backside as I lay under my lean to. I have to do that. Writers must write their own stories. They must make the decisions. They must serve the story in such a way that you readers find what we say to be relevant, entertaining, and socially redemptive or dangerous, whatever the case may be. Which brings me to why we are here today. A million years ago, back in 1993, I called Conger Beasley Jr. on the phone and asked him to have lunch with me at D’Bronx Deli on 39th Street. He had never met me and I had never met him. By that time, I had read much of the work he published. I admired him a great deal even before I called him. He wrote the kinds of stories I wanted to write. And at the time, as is true today, I wanted to write travel memoir. He did it as good or better than the best writers of the genre. At that meeting, we talked about writing, about the hard work of writing, and that nothing comes easily to the writer. I came to know Conger well over the next fifteen years, and our sporadic meetings were always warm and long winded. Here’s the deal: Conger Beasley Jr. won the Thorpe Menn Award in 1991. He won that year for a wonderful little book called Sundancers and River Demons: Essays on Landscape and Ritual. When I found that out, I wanted more than anything to win the award. If I could do it, if I could write a book that would take top prize in this contest we have here today, then I believed I would have made it. As you know, I won that award last year and it was the highlight of my life. You only get to win it once, which makes it special—or Conger might have won it who knows how many years running. You have to leave something for the rest of us to strive for. 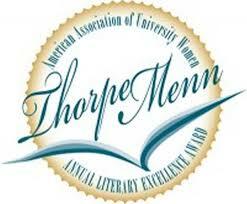 It’s a big deal, this Thorpe Menn Award. It means the recognition of a writer by his or her community, which, in the end, I prize very highly. It is perhaps the kind of recognition most important to me. In winning an award, you’re getting recognition and lauds from people who read and admired your work. They recognize superior storytelling, setting, plot, story arc, and symbolism. Mostly, they award a tale well told. When I wrote those books, one of which snatched the prize last year, I wanted to honor the people who built my tales, my characters, all of whom were drawn from life. I didn’t get to write my books all alone. Many people helped both as characters and as readers and editors. Winning the award, then, was not just for me. It awarded the community and the city that made me, who built the story of me. This year’s winner gets recognition from his or her community and they get to honor the people who built the tales of who they are. Thank you for being here for me today.